Summary: We receive many questions about how to buy or build your own Dog Whelping Box. Obviously, like all products on the market today, get what you can afford. If you’re willing to spend, then you’ll find some very nice choices on the market today. Before the big whelping day arrives, there are preparations that need to be made for your puppy whelping experience. The dog whelping box is a box where the puppies will be born. 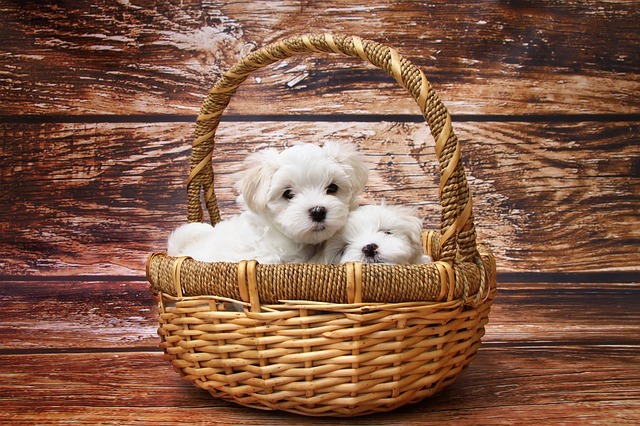 Your pregnant dog will want to start nesting, so it is important you have a place for her to feel comfortable. Otherwise, who knows where the puppies may land and sometimes, it is not in a very safe spot for the puppies. In this article, we suggest that maybe you can look at making your own dog whelping box if you cannot afford to purchase one. Having a dog birthing box which is disposable can be quite nice as they get very messy. Or if you can afford it, buy the whelping box with disposable liners so you can use it time and again. Amazon offers a plastic containment pen when used with whelping liners/pads, could prove the ideal product for smaller dog breeds. The IRIS 4-Panel Pet Playpen is described as “Suitable for indoor or outdoor use, this commercial grade plastic pen features interlocking plastic panels and double steel door latch. Panel connectors can be used as outdoor spikes. 4 panels included. Double steel door latch keeps pets safely inside. Easy assembly to full size of 36″W x 36” D x 23 5/8 “H.” And then just include an appropriately sized EZwhelp Washable Whelping & Puppy Pad , and you are all set! Or just make your own dog whelping box by using a cardboard box with layers of newspapers on the bottom for smaller breeds. I cut a hole in the side so she can get out. I also make sure that the top of the cardboard whelping box can come off so I can assist during whelping if I need to. Make certain that the dog has plenty of room to stretch out. A child’s small plastic wading pool with layers of newspapers in the bottom can work well for larger breeds of dogs. This option also cleans up nicely and keeps the puppies contained even after the birthing is complete.